Yoga and your brain, what a combo! Ever wonder what the effect yoga might have on your brain. True we know the benefits of flexibility, range of motion and balance. But what about the “calming” and the “regulated” feeling people claim to get from doing yoga? While natural therapies, including yoga, don’t have a ton of funding for major studies compared to the pharmaceutical and bio-tech industries, we are starting to see some compelling science emerge. Some of the best science to date showing how yoga changes your brain involves yoga’s impact on anxiety, depression and pain tolerance. Bring on the asanas! While walking to lose weight really works, it may not be your best defense against anxiety. 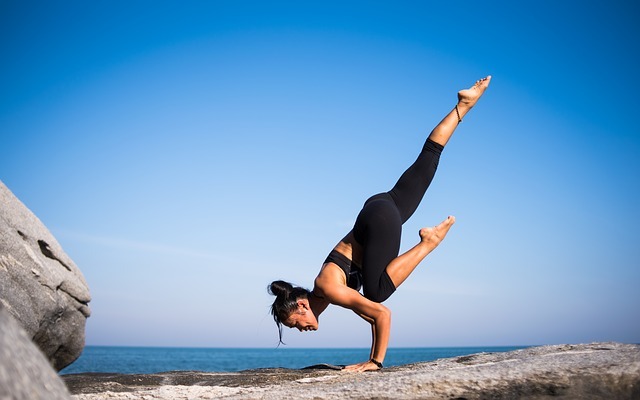 Practicing yoga unleashes more anxiety-quelling GABA in the brain’s thalamus than walking, according to a 2010 study published in the Journal of Alternative and Complementary Medicine. Compared to pleasure reading for an hour, a 60-minute yoga session increases GABA levels by 27 percent. (4) Because of its combination of breathing, meditation and movement, yoga could be one of the best exercises to combat anxiety. Yoga could be the most important form of exercise to combat anxiety, thanks to its unique breathing, meditative and stretching exercises rolled into one practice. While there are many different forms of yoga, start out with gentle yoga and experiment to find the type that works best for you.